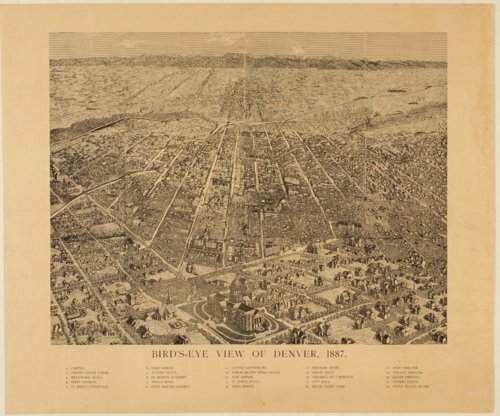 This black and white drawing shows structures throughout Denver, Colorado, in 1887. There is a key at the bottom that gives numbers for specific structures such as the State Capitol, the county court house, churches, schools, hotels, office buildings, smelters, etc. However, the numbers can be difficult to locate.